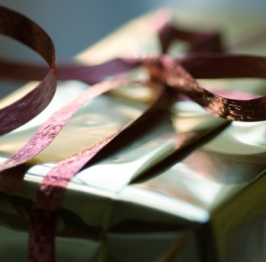 Is it time to upgrade your present packaging line? Are your men’s accessories packaged in better boxes than your fine jewelry? Do you carry a pre-boxed sterling silver line whose boxes are nicer than yours? Have you ever had a customer complain about your boxes? Do you use the same type of box as a competitor, a deep discounter or a chain store? Are you being out-packaged by the competition? 1. Unless you employ a visual merchandiser, choose a supplier who can lead you through the myriad of packaging options. 2. Throughout the selection process, think distance and separation - via your packaging, separate yourself from your local competition, chain stores and mass merchandisers. Think Tiffany and Cartier, not Wal-Mart, Sam’s or the local chain store. 3. Quality IS an issue – ring boxes are supposed to hold rings. Boxes aren’t supposed to break. Printing is supposed to be straight …. and legible! 4. Choose a color (thus creating a brand and an identity) and stay with it – forever. Think feminine – jewelry is a woman’s fashion accessory. Department store cosmetic’s departments are great sources for color inspiration. So are colors in your carpet, drapes, wallpaper and other store fixtures. Please remember that black, white and gray are not colors. Special is exception given to black, due to its classic, iconic nature. 5. Your jewel box line is your first and most important selection. Relative to shape, choose a shape that’s appropriate for your business: American styles (domed boxes, velvet, suede, other softer fabrics) vs. European styles (flat topped, square, “harder” leatherette-type fabrics). In terms of shape, when in doubt, go classic, not trendy. 6. Other jewel box considerations: Choose light colors for the interior of your boxes. Recent studies show that lighter fabrics merchandise jewelry better than darker fabrics. If you don’t gift wrap, colored, outer packers are a must. If you do, they are an option. Choose a print color that visually doesn’t compete with your jewels. Gold and silver are excellent choices. 7. Choose your ancillary packaging products, pouches (for bangles, charms, hoop earrings, travel items) and pearl and necklace folders in fabrics and colors that reflect your jewel box line. 8. Shopping bags are your next important selection. Stock bags (low minimums, quick delivery) are available in a wide range of colors and sizes. Custom bags (quantities of 2000 pieces or more, longer lead times) can be custom colored to match your boxes. They can also be ordered in custom shapes and sizes. 9. Color coordinate your jewel box and bag line with tissue, ribbons, gift wrap and bows. Don’t be afraid to play with a secondary color on these ancillary items, for example, pink ribbon and tissue with royal blue boxes. Tissue can be custom printed, also. 10. Color coordinate other store marketing materials (business cards, letterhead, advertising pieces, signs, etc.) with your new Signature Packaging Program. Please see our section “Ask the Answer Man” for more information on building a Signature Packaging Program.